Author is a marine engineer having keen interest in physics. During his research he got new ideas to simplify the concepts of physics and wrote three books on physics. He lives in Panchkula- a town in North India. Devinder Kumar Dhiman is currently not accepting new questions. 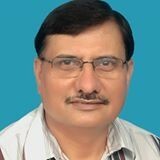 Devinder Kumar Dhiman I read books until I get back to writing. This is about my technical paper 'A Study of Redundancy of Time Dilation in Theory of Relativity' published in Volume 10, Issue 43 of Indian Journal of Science and Technology recently. Here, I give you the link to it for Free Download; before that, let me give you some introduction to this paper. Description: In this book, author discusses a new approach to creation of matter and explains with logic and mathematical calculations, how matter could have created from a medium of space in the form of 'Lines of Space' similar to magnetic lines of force. The author also explains, how this medium can be the common source of electrostatic, gravitational and nuclear forces and thus unifying them all. We’d love your help. Let us know what’s wrong with this preview of The Little Blue Book for Authors by Gisela Hausmann. I enjoyed reading about the various characters of this book, They are angels with wings to fly, one of them has additional abilities to change into different shapes. other one can breath fire, third one can sense the presence of others at any distanc I enjoyed reading about the various characters of this book, They are angels with wings to fly, one of them has additional abilities to change into different shapes. other one can breath fire, third one can sense the presence of others at any distance from him. There are others too with special abilities including Lilith, who can influence anyone by her words and can see future. All of them are created by God Himself to live in Floraison, with strict rules. Most of them followed the rules, but Lilith despised following those rules because she had visions about the freedom to be bestowed upon yet to be created mankind of Earth. She revolted against God for not allowing the angels of Floraison the same freedom. The revolt led to a bloody war between angels who followed rules and the others who were influenced by the designs of Lilith. Lilith and her supporters lost badly in the revolt and God condemned them to fall on Earth and bear punishment of hard living on earth. They had to endure the punishment given by God in various forms. Fighting with various animals of earth, escaping from natural disasters such as volcanoes, earthquakes, dust storms in deserts etc. and finding food for survival were only some of the problems they had to tackle. This story of the survival of fallen angels on earth is very interesting till the last page. Liked authors approach to relativity"
It explains in simple language some of very complex facts of Quantum mechanics. Using various techniques and formulas, the author has explained concepts very well, without the dependence on probability. This is author's own story told in a very honest manner. Usually it is difficult to write about negative aspects or criminal activities of one's self, but the author narrated all including his hardships and the mind set in which he lived in Moldova a This is author's own story told in a very honest manner. Usually it is difficult to write about negative aspects or criminal activities of one's self, but the author narrated all including his hardships and the mind set in which he lived in Moldova and why he decided to take a very risky journey from his home town to UK. I looked myself on Amazon India, France, Germany, US, Canada, Brazil, Australia - it's everywhere" Got it. Just bought it.